Ripped from international headlines, The Hacker Wars takes you to the front lines of the high-stakes battle over the fate of the Internet, freedom and privacy. 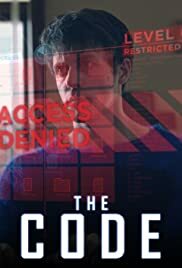 This film, originally made as a documentary for Finnish television, is currently floating around on the giFT peer to peer network--a network which is largely restricted to Linux users, so it is unsurprising that it can be downloaded from over a dozen different people there. Through this film, Linux is traced from its early days as a hobby project of Linus Torvalds's, through its rapid rise in popularity and number of users, to the dot-com boom and bust, and beyond. The differing ideologies of Richard "GNU" Stallman and Eric "Open Source" Raymond are also explored. Anybody who has been following Linux for very long, reading websites like Slashdot and Eric Raymond's "Cathedral and the Bazaar" essay will probably already know most this. However, for those people, the film does offer a chance to see and hear these Linux icons talk--putting faces and voices to people who might otherwise have been just words on a screen. Despite its Finnish origin, most of this documentary is in English--either the naturally-spoken English of most of the Linux personalities, or a heavily-accented voiceover narrator--with Finnish subtitles. Only a few of the interviewees (Linus Torvalds's parents, employees of Chinese Linux corporations) are untranslated (since, after all, the show was originally aimed at Finns).